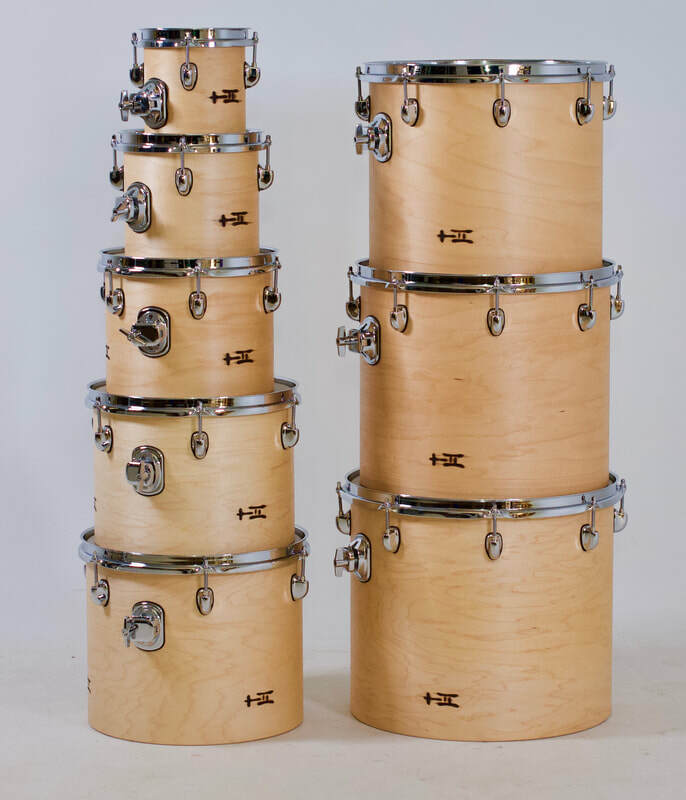 TreeHouse is taking the concert stage by storm! 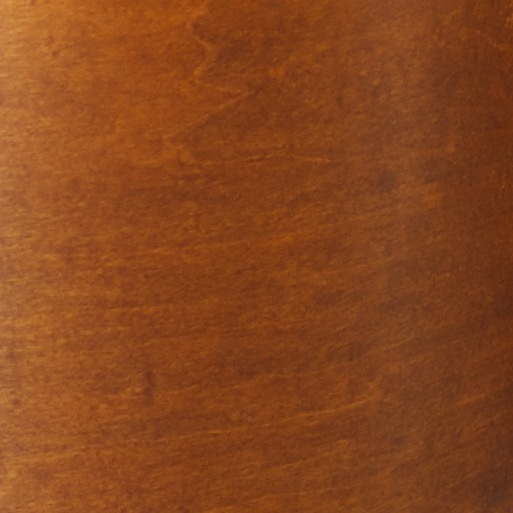 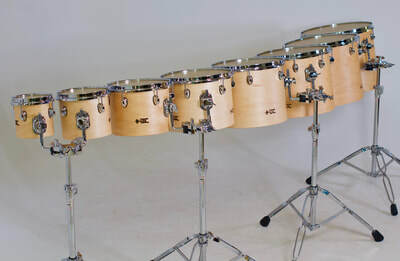 Initially designed as a way to get high-quality maple drums in academic and orchestral settings at the most affordable pricing possible, these drums inaugurated our Academy Series back in 2012. 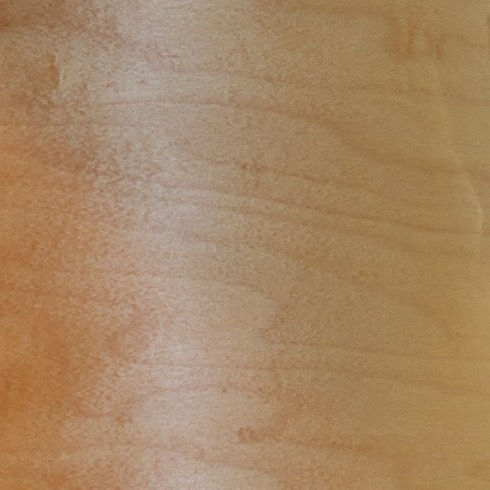 Academy Series drums feature the same rigorous standards of quality in design and manufacture as all of our drums, but with fewer customer options for fantastic value at the lowest possible price--and you don't have to be a school to order them! The details and features shown below are for Academy Series Concert Toms; however, all of our toms from the Standard, Upgrade and Deluxe Series can be ordered as single-headed concert toms for 70% of their normal double-headed versions. 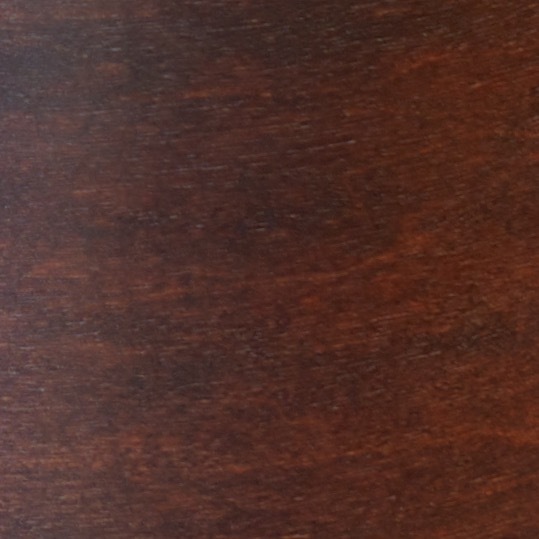 Learn more about TreeHouse pricing. 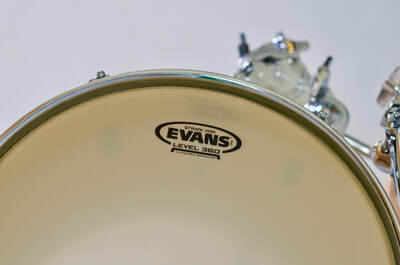 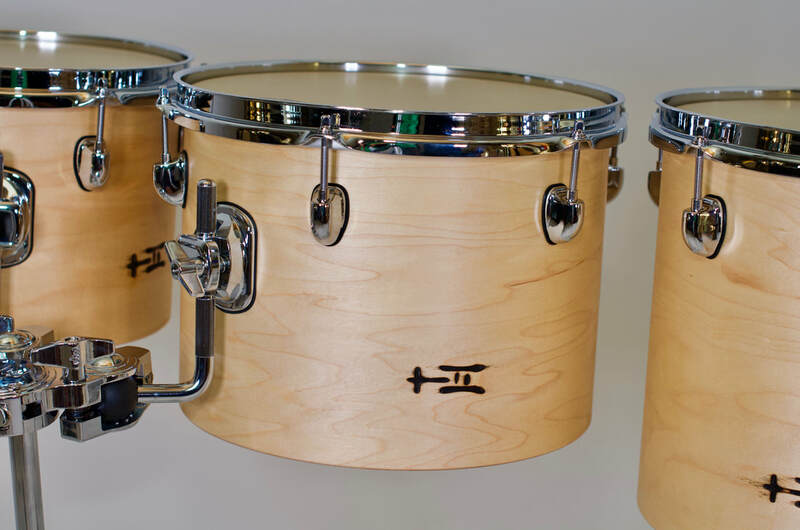 The standard buildout on Academy Series Concert Toms include aggressive 45/22.5 degree bearing edges on the SMALL four, with 45/rounded bearing edges on the MEDUIM four and LARGE four. 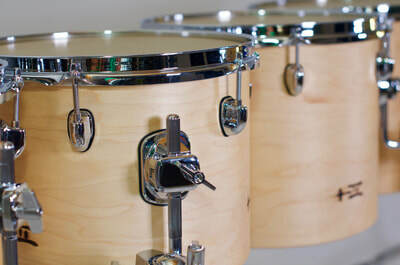 Chrome Hardware of our choosing with direct mount tom brackets ensure that these rugged drums will hold up to the rigors of the classroom or the world tour. 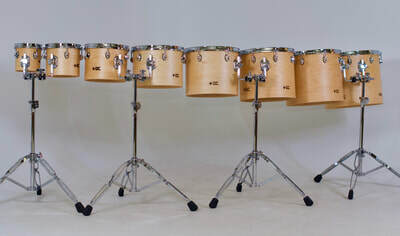 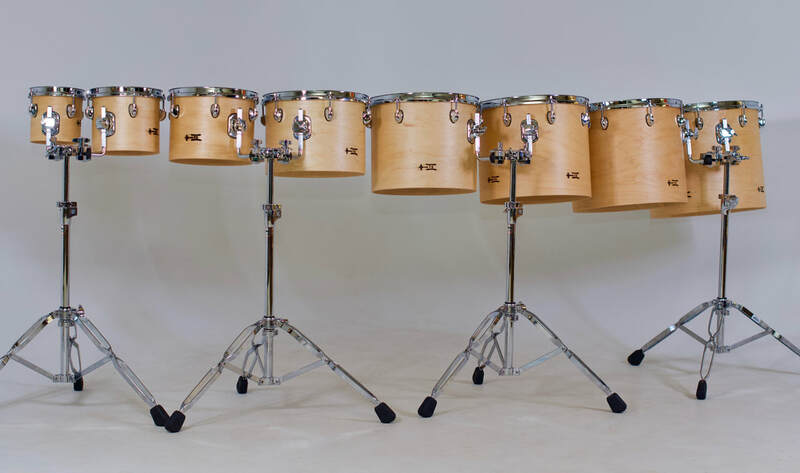 Each pair of drums includes a double tom stand which makes multiple set-ups easy--each stand has the ability to hold an optional additional accessory like a cymbal or cowbell arm. Sizes available in this series are: 6x6, 7x8, 8x10, 9x12, 11x13, 12x14, 13x15 and 14x16. 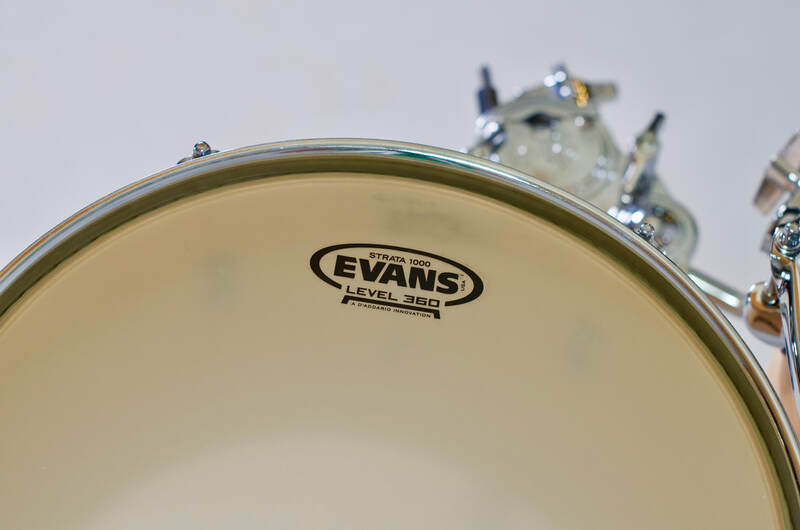 Need some low end on your concert toms? 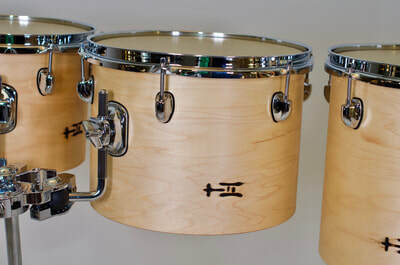 Check out our Concert Bass Toms!